Some time ago I blogged about Radio improvements and tweaking things to make them better, specifically a number of modifications that I’d had made to my Yaesu FT-847. I talked in that entry about swapping the cheap switching diodes out for low noise Schottky diodes to reduce the HF noise floor and I said I was going to do it myself. I really haven’t been able to find the time to do it and I didn’t want to take the risk of damaging my wireless when I’m less than 20% into the QSO365 project. So today I dropped my radio off at the local radio shop, Coastal Communications and left it there while I went to have some work done on my car. I did stay around long enough to take some photographs of the work in progress. The captions will speak for themselves. At this point I had to leave. When I returned I was greeted by a reaction of utter amazement. Not only did Richard replace the diodes for me but he noticed that some of the inductors in that section looked a little dodgy so he replaced them as well. He’d been a little sceptical as to this modification but he told me that when he first switched the radio on after completing the diode swap that he thought he’d broken it because it was so quiet. A quick tune around the bands showed him that he was wrong though and that the radio now has a significantly lower noise floor than it had before. It’s a fantastic modification that I recommend to all FT-847 owners. 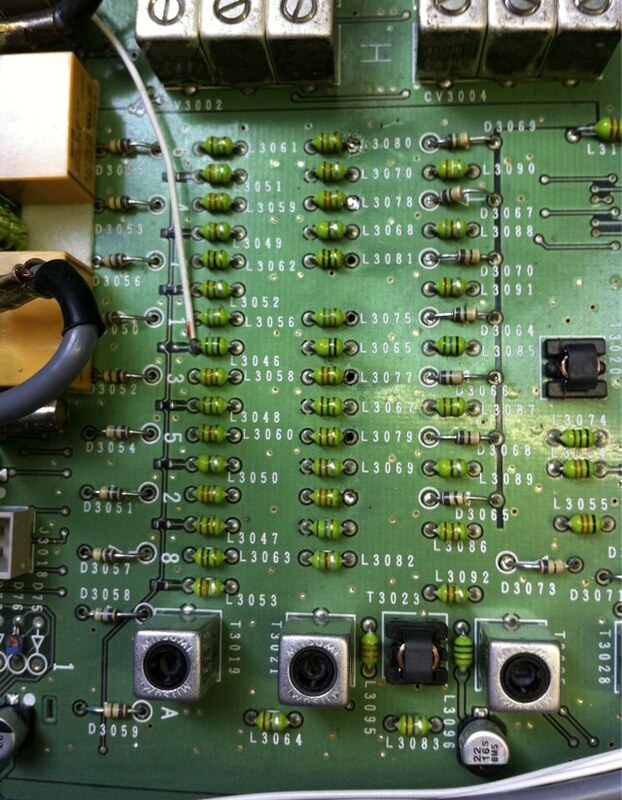 These are the diodes to swap and it’s quite clear from the images above how straightforward it is. They’re not difficult to get to and it only takes an hour or so to do the modification. I used BAT85 Schottky diodes. More details about this and other modifications for the FT-847 can be found in the document by Jochen Heilemann, DG2IAQ which you can download here: Modification Sheet YAESU FT-847. Ah, to be in a situation where my radio was the limitation on the noise floor…! My gosh! You had Isaac Asimov modding your wireless! Gasp! Based on this article and others recommending the diode switch I ordered the Schottky low noise diodes and spent all day changing them out. A few of those a difficult to change. After completing the diode mod I put the FT847 beside my other unmodified FT847 and compared them back and forth for several hours on different bands. I hear and see no difference at all after the mod. Both the modified and unmodified FT847s sound the same. i wonder how many people who have done this mod actually had a second FT847 to directly compare it to. 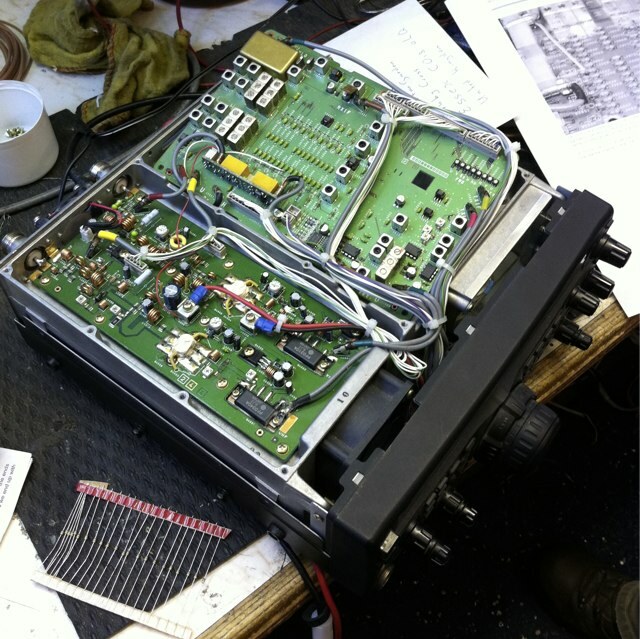 I have two 847’s .. an early model and a late model, the later radio had the diode mod done, all i can say is both radio’s are like day and night….it worked on mine and it’s brilliant ! Thanks for the comment, John as it’s quite interesting to read. I’ve read various reports which say that replacing the diodes can make a difference and others that say that it makes no difference whatsoever. In the case of my wireless, I’m confident that there was a big reduction in the noise floor as I’d owned it for quite a while before the mod was done and it was very noticeable. 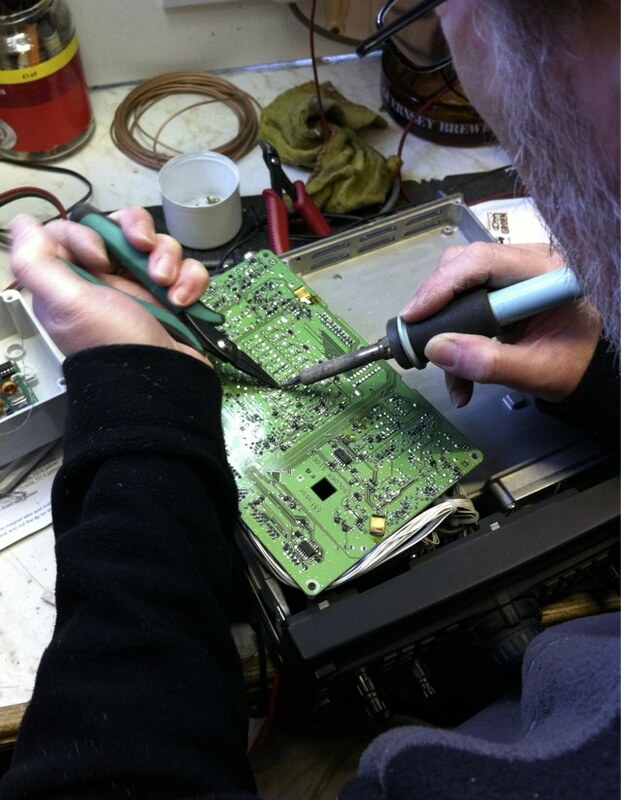 As I commented in the article, Richard actually thought he’d broken the radio when he switched it on after replacing the diodes because the noise had dropped so much. Having said that, some months later, Richard bought himself an 847 and did the same modification but like you, he noticed no difference so I think that it’s a bit hit and miss. Some radios benefit from it, others don’t and of course, there’s no way to tell beforehand whether it’s worth doing or not. 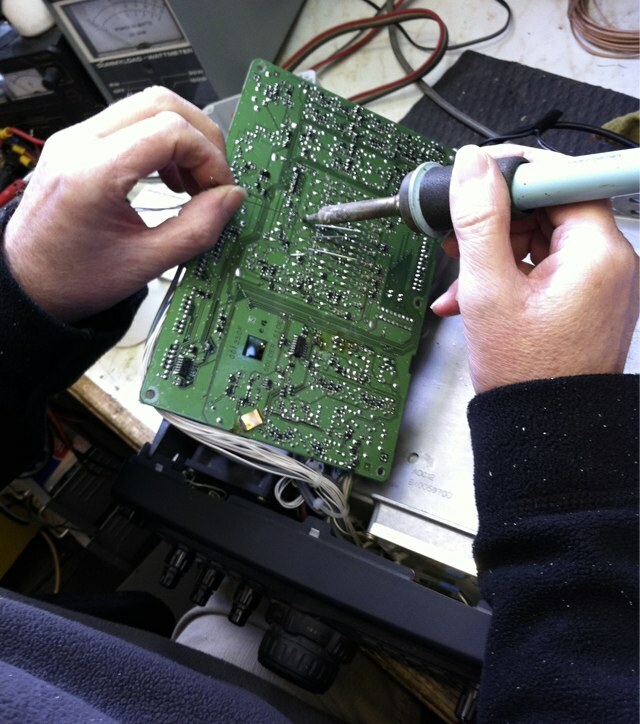 You might find that if you do your unmodified FT-847 that it makes a difference! 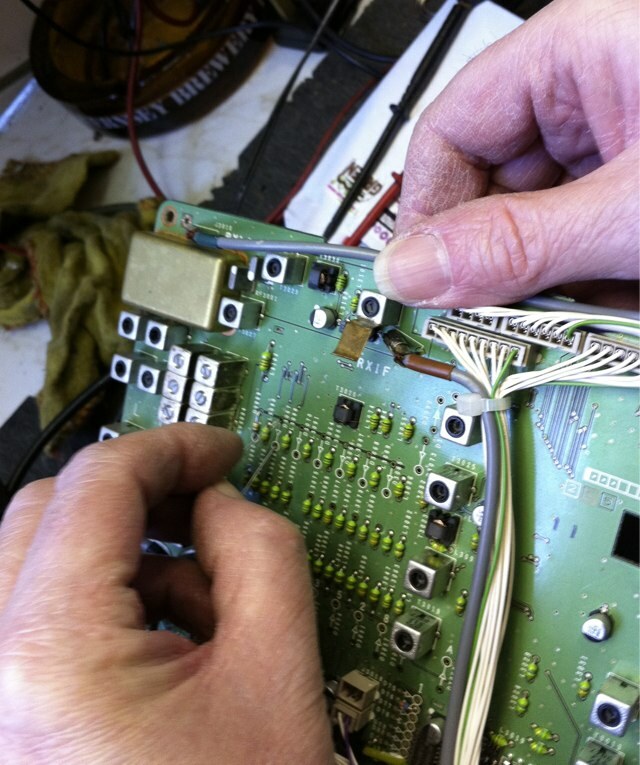 Do you happen to know which inductors he replaced? I did the mod to my FT-847 with 1n5711 type diodes and the difference is from earth to heaven. I’m able to receive more low signal right now than before the modification. Floor noise was reduced and receiving ssb, cw, psk31, rtty, sstv signal are much better now. I believe maybe some FT-847 this type of modification does not make any difference, but in my FT-847 the receiving was totally change. I’m really happy with the modification especially because I did it myself and love my FT-847 more than ever. Thanks Jose, it really is very subjective – It seems to work well on some FT-847s but on others it makes little to no difference. I use to have a S7 of noise in my FT-847and that keep me for operating on HF. Now I have a S1 or S2 of noise. I’m back operating on HF digital mode, especially on 20M. 73 and good DX. I agree with Jose, my noise was at S6-7 and now resting mostly on S-1 and no more than S-3 on 80M. I have also had the Inrad filters installed…this has turned a mediocre radio into a really good one, well worth time and money spent. I’m very happy with my versitile 847. Ps, diodes replaced with BAT85. Very pleased it’s worked for you, Reggie. It shouldn’t. 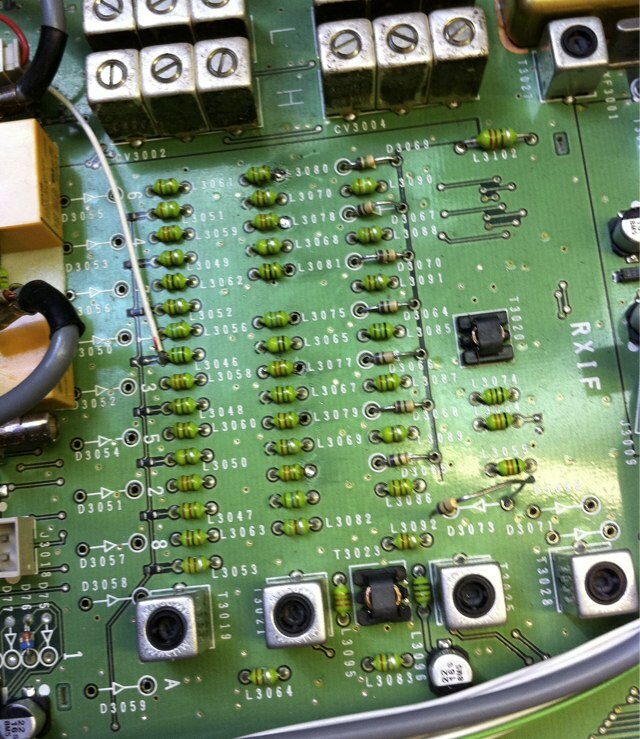 Check all diodes to make sure you’ve not put any in backwards and make sure there are no dry joints/poor connections. Swapping the diodes shouldn’t reduce sensitivity. My FT-847 lacks RX sensitivity on the HF bands above 7 MHz. It drops off gradually from band to band, beginning at 14 MHz and upwards. I haven’t checked 10 MHz. Are the Schottky diodes to blame? Since I’m mostly operating remote, I can’t switch on the RF preamp. I’ve been waiting for a lot of 50 1N5711 Schottky diodes from which I ordered. It was said to be the better ones to employ. Hope by next week all the stock ones of my FT-847 would be completely replaced and will see what happen, hopefully should be good. I also did a modification on phone connector unit to enhance the headset audio level which has normally a rather low level of amplification, by replacing the 2 stock resistors and it is okay now. At 12 o’clock I can hear more than enough. Mine has both Murata SSB (TX&RX) and Collins CW filters installed. It works reasonable well after a few minor mods, I am quite pleased with this rig though. Before my 847 was zapped by lightning, I’d made quite a few mods – If you’ve not seen them, I describe some of them here. Many thanks . Having been through I find it very interesting indeed. Will do the rest one day when appropriate!